The rodeo pattern I uploaded the other day was more popular than I thought it would be. Here is another one for you rodeo fans to cut. This one is from Norm Benjamin. 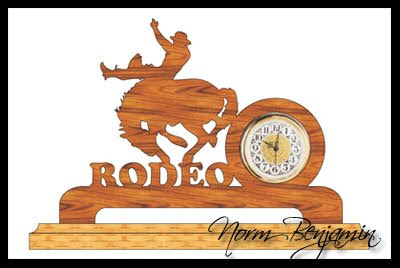 He likes designing clocks and he likes rodeo so this one came out real nice. You will need a 2" clock insert for this pattern.